The stock which closed at 1240.30 level on Friday rose up to 6.01% intra day to 1319.65 level in trade today. The stock was the top gainer on Sensex and Nifty and opened with a gain of 4.81%. The L&T stock rose in early trade today after the engineering and construction firm announced that the board of directors would consider a proposal for buyback of equity shares of the company at its meeting to be held on August 23, 2018. However, the company did not specified the size and amount of the buyback. At 12:25 pm, the stock was trading 5.87% or 72 points higher at 1313 level on the BSE. The stock which closed at 1240.30 level on Friday rose up to 6.01% intra day to 1319.65 level in trade today. The stock was the top gainer on Sensex and Nifty and opened with a gain of 4.81%. It closed 6.74% or 83 points higher at 1323 level. It has been rising for the last two days and has clocked 6.50% gains during the same period. The stock has gained 16.09% during the last one year and 4.46% since the beginning of this year. Morgan Stanley analysts believe buyback is "over and above the regular dividend and is tax efficient from a shareholder perspective." 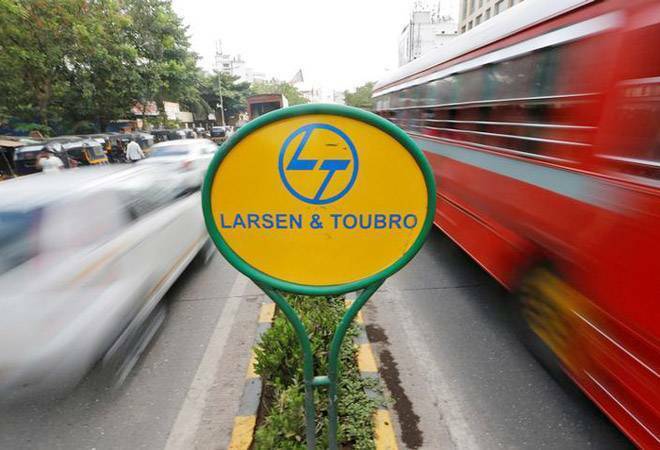 Morgan Stanley said, "This is L&T's first buyback, if approved by board, and could be taken by market as a signal of an alternative to reward shareholders." The brokerage has assigned 'overweight' rating to the stock with a price target of Rs 1,786. Macquarie said the buyback boots L&T's return on equity/cash return credentials. The decision definitely drives short-term price action but also gives confidence in the outlook. The stock has been relative underperformer in the last 3 months. The L&T stock was among the top volume gainer on BSE with 7,78,603 stocks traded on the BSE. Its turnover stood at Rs 102.01 crore, the maximum among BSE stocks. 30 of 36 brokerages rate the stock "buy" or 'outperform', four "hold", one "underperform" and one "sell", according to Reuters. The conglomerate reported a 43.14 cent rise in consolidated net profit at Rs 1,472 crore for the first quarter ended June 30, 2018. The company had posted a net profit of Rs 1,028.3 crore in the corresponding period a year ago. Its total income in the quarter under review increased by 17.12 per cent to Rs 28,527.48 crore, as against Rs 24,355.52 crore in the year-ago period, L&T said. Larsen & Toubro is a Mumbai-based technology, engineering, construction, manufacturing and financial services company.